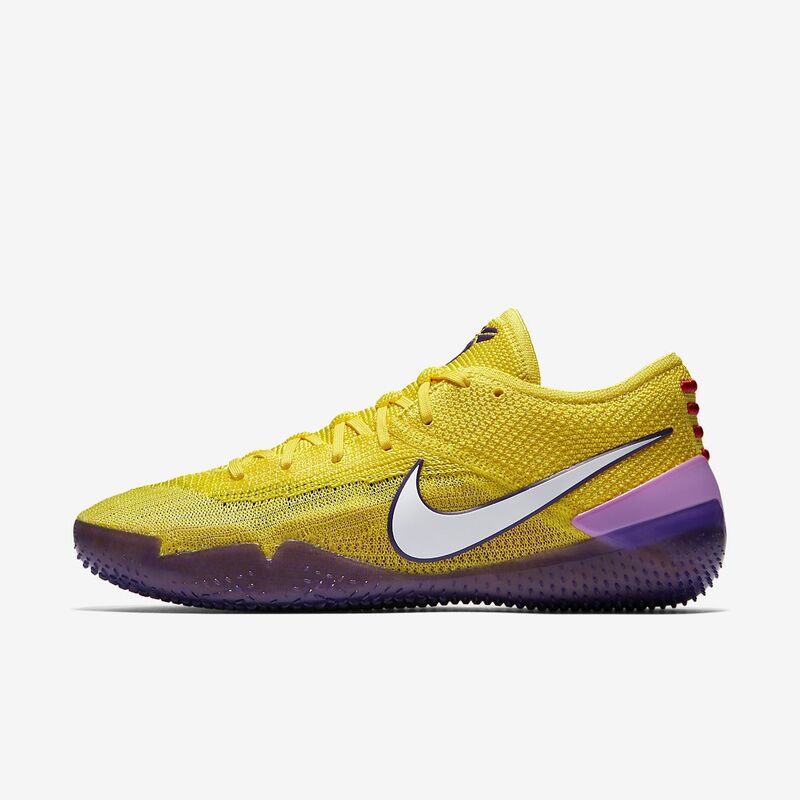 The Kobe A.D. NXT 360 Men's Shoe resurrects the Mamba's on-court mentality and killer instinct. The upper wraps your foot in all-round comfort, while the foam combination gives you a springy response when you jump, and a soft feel when you land. I wished all kobes felt like these ones. My favorite thing about these shoes are the soles, so comfy! Snug fit and great grip on the court. Would recommend. Great court feel, solid traction, very stable and fun to play in! I think this is already one of my favorite Kobe shoes. I have had multiple pairs of Kobe IX, which have been my go-to shoe for the last few years. I've been hesitant to try another low though after I sprained my ankle and strained my achilles in a KDX. I am really happy with how these NXT360s feel even after an hour or shooting around in them. They are very stable, and you feel very connected to the court and low – which for a shooting guard is a big deal. I think the small details on the shoe are really fun to look at, and the detail on the drop-in midsole are fantastic. You're really buying this shoe for the midsole, I think. Overall, I'm very happy so far. I've paid both more (Kobe IX) and less (Kobe IIX) for a basketball shoe and while this is on the high side, I think that it's worth the money for the detail, and thoughtfulness that went into the design. I'm excited to hoop in these and they are a really solid shoe. One last note on sizing, the toe box is fairly wide and allows your toes to really spread out – whereas the back of the shoe (around your mid foot and ankle) tapers in for a tighter fit. Once you wear them a bit and let them form to your foot, I have no doubt they will feel great. Input from an indoor basketball player, point guard, shifty player. I recommend ordering a half size smaller than your usual Nike shoe. Fantastic cushioning, insole keeps your foot steady with the grip and formation of the insole. The flywire makes it feel as if it's another sock on your feet and makes it breathable. I just wish the shoe laces were longer because I have just enough to tie a knot. The traction has been fantastic moving in all directions. I've been wearing hyperdunks for years, but took a chance on my first kobe shoe. I might order another pair for future use.